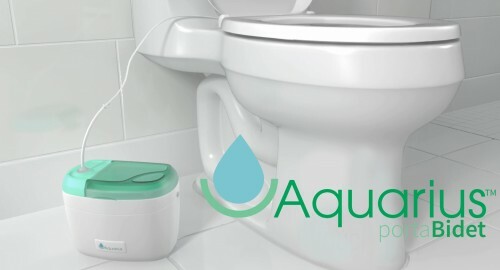 Long Business Description: Aquarius Hygiene are designers and retailers of a range of personal hygiene bidet products, for use whilst travelling and at home, to assist you in your everyday life. We believe everyone should have dignity and a good sense of wellbeing. 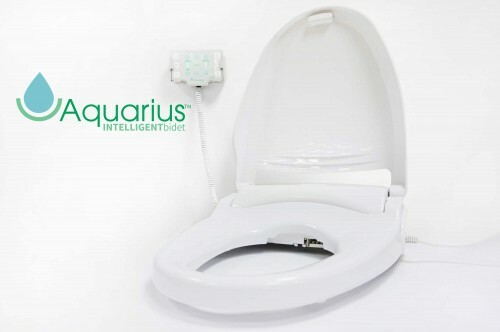 The Aquarius Intelligent Bidet simply replaces the toilet seat on top of the existing toilet making for very simple installation. Featuring a heated seat, adjustable settings for the water temperature, pressure and nozzle direction, heated air dryer and automatic nozzle cleaning function. The Intelligent Bidet comes with a choice of control options, either fixed side panel or hand held controls, a great option for those who require the use of a shower chair. An innovative travel friendly Bidet solution; The Porta-Bidet comes with a free discreet travel bag and weighs just 1.5 kg. The Porta-Bidet has a rechargeable battery and from every overnight change the unit can achieve at least 50 wash cycles with no loss of pressure or power. 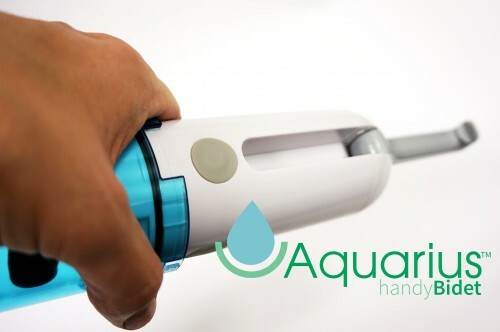 The bidet spray arm attaches to any standard toilet and can be set up by anyone within seconds ready for use, providing a comfortable regulated spray wash at the press of a button. A lightweight, compact and discreet portable Shattaf sprayer. Simply fill the reservoir with water, warm or tepid is ideal, attach the hose and press the button to spray and wash. This hand held bidet sprayer provides that little extra reach should you have mobility difficulties and also provides a hands off experience should you not wish to use toilet tissues. The Handy Bidet is USB rechargeable. 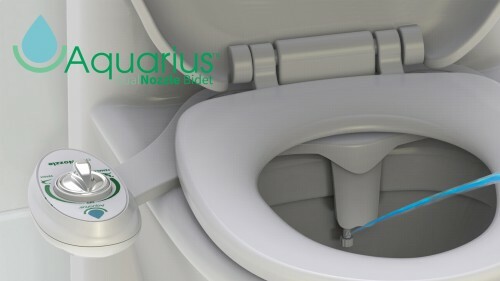 The Aquarius Dual Nozzle Bidet consists of a 10mm thick body which fits under any standard existing toilet seat. A dual nozzle design catering for both male and female users, with a pulsating wash. The anti-bacterial nozzle is fully retractable, self-cleaning and the toilet can be used in the standard way with no obstructions whatsoever. A convenient bidet solution to suit your existing bathroom suite with very little installation hassle.